This week, I voted for the tenth time to reopen the government, which has put pressure on Granite State federal workers and endangered the safety of all Americans. I’ve been hearing stories of anguish from people in New Hampshire as they do the work we ask them to do without receiving the paycheck they have earned. It has truly been heart-wrenching, which is why I welcome the president’s announcement today that he will reopen the government until February 15th. I’m glad President Trump has finally opened his eyes to the need to end this manufactured crisis. Democrats and many Republicans have said for more than a month that this ill-advised game of chicken over a border wall is irresponsible and does not advance the interests of the American people. Once the government is reopened, there should be a thoughtful discussion including hearings and expert testimony about how we can achieve 21st Century border security and effective immigration reform that will strengthen our nation. I stand ready to work with my colleagues on both sides of the aisle toward reforms that will increase security, provide protections for young DREAMERS and TPS recipients, and improve the process for asylum seekers fleeing violence. Today, I met with the National Treasury Employees Union (NTEU) Chapter 68 and Internal Revenue Service (IRS) employees in Concord to hear about how the shutdown has impacted their lives. The anxiety, stress, and fear they have been feeling over the past month was apparent. Many of these individuals have children and they simply can’t provide for their family’s needs without a stable paycheck. 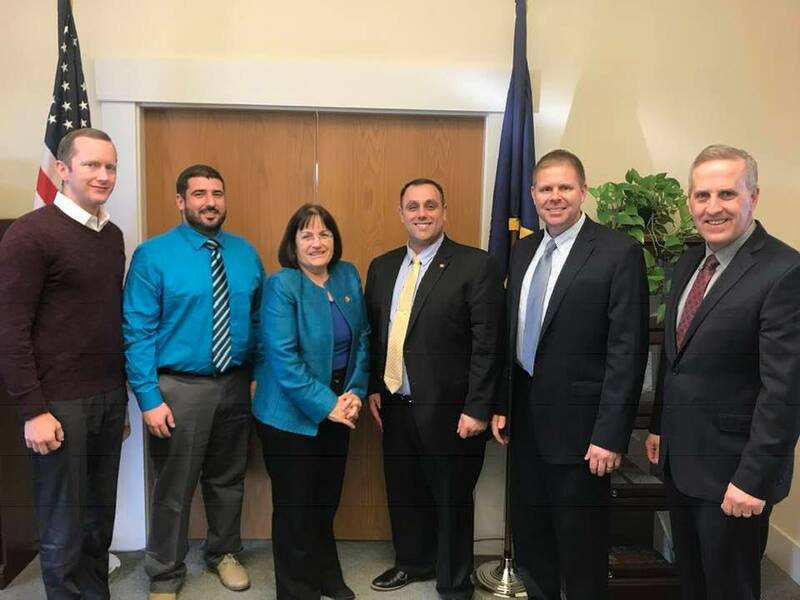 I also met with New Hampshire housing advocates who were deeply concerned about how the shutdown would affect access to affordable housing in the state. Everyone deserves to have a safe, affordable place to live, and the fact that this shutdown has hurt some of our most vulnerable citizens in need of housing is unconscionable. I also met with survivor advocates from the New Hampshire Coalition Against Domestic and Sexual Violence and Turning Points Crisis Center in Claremont on Friday to discuss the impact of the government shutdown on efforts to address domestic and sexual violence in New Hampshire. Crisis Centers like Turning Points, which receive grant funds directly from the Department of Justice’s Office on Violence Against Women, should never have to worry about having access to the monetary support they need to provide critical services to survivors. We have a commitment to survivors and their families to help them get back on their feet and move forward with their lives after the trauma they have experienced, and we must affirm this commitment by making sure critical funding continues to be available to crisis centers in New Hampshire and across the country. As always, thank you for the wonderful contributions you make to New Hampshire. Our state is such a great place to live, work, and raise a family because of everything you do. If you have any questions, concerns or ideas, please do not hesitate to reach out to my Washington, DC office at 202-225-5206 or my Concord office at 603-226-1002. Enjoy your weekend!